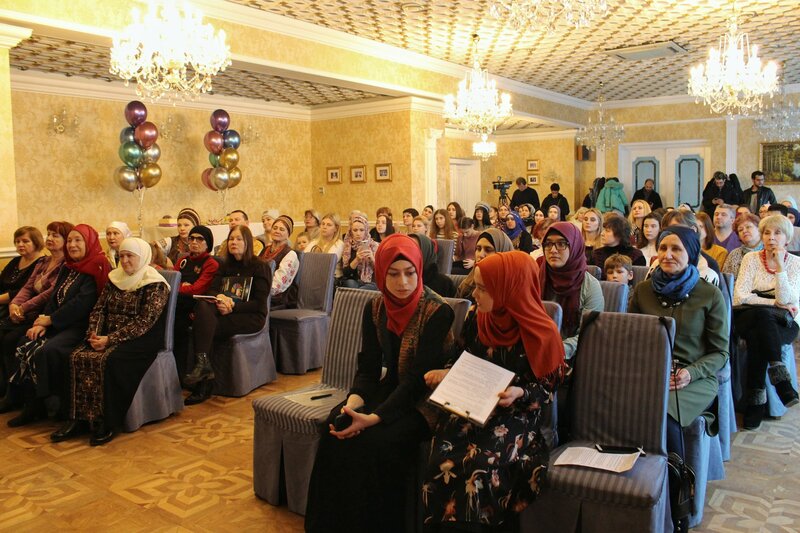 The Muslimahs from “Safia” Social Organisation, supporting by Ukrainian Muslimahs League, held the World Hijab Day celebration in Zaporizhzhya. This Day calls to pay attention for the discrimination cases the Muslim women sometimes face due to their following the religious precepts of dress code. 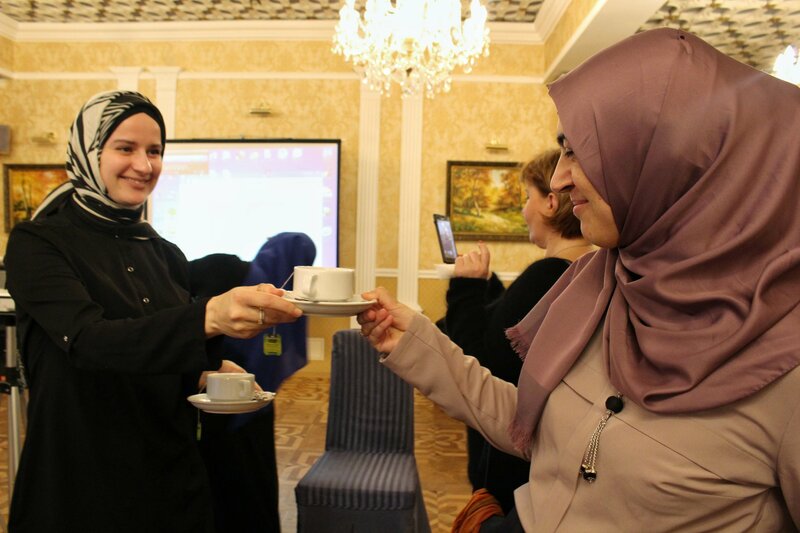 The event was held in the conference hall of the "Intourist" hotel last Saturday on February 2. 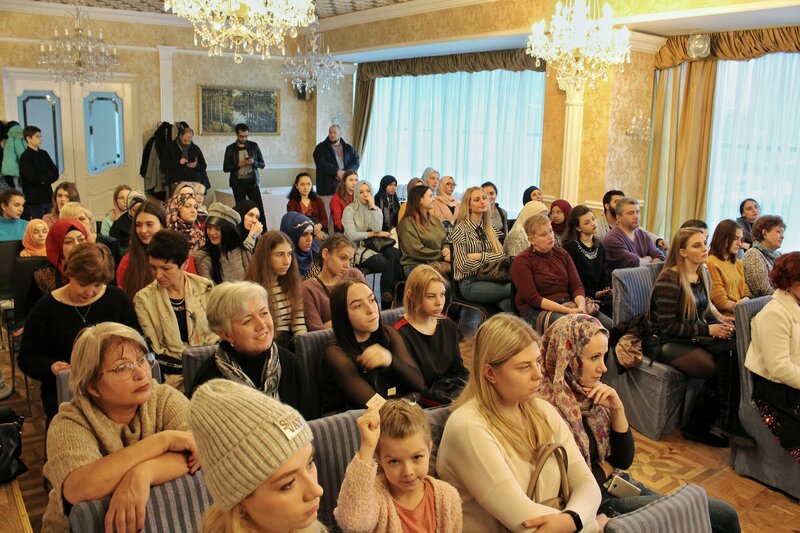 As the organizers promised, the guests, among whom were many non-Muslims, got a lot of useful information about hijab, its elements, in particular about the types of headscarves. This event consisted of lectures, conversations, and answers to questions the visitors were interested in. 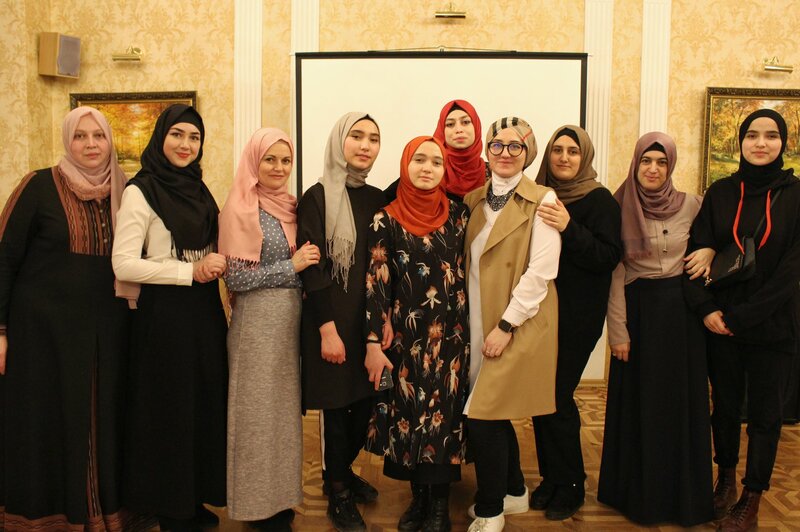 The main message of the event is to bring to the Ukrainians that a woman, wearing a hijab, does not threaten society, and the hijab does not “symbolize the oppression of disadvantaged Muslimah”. So the Muslimahs’ modest clothes must not be the reason, why women are denied in applying for a job or school. ... Therefore, the organizers held lectures on the backgrounds of establishing this holiday. 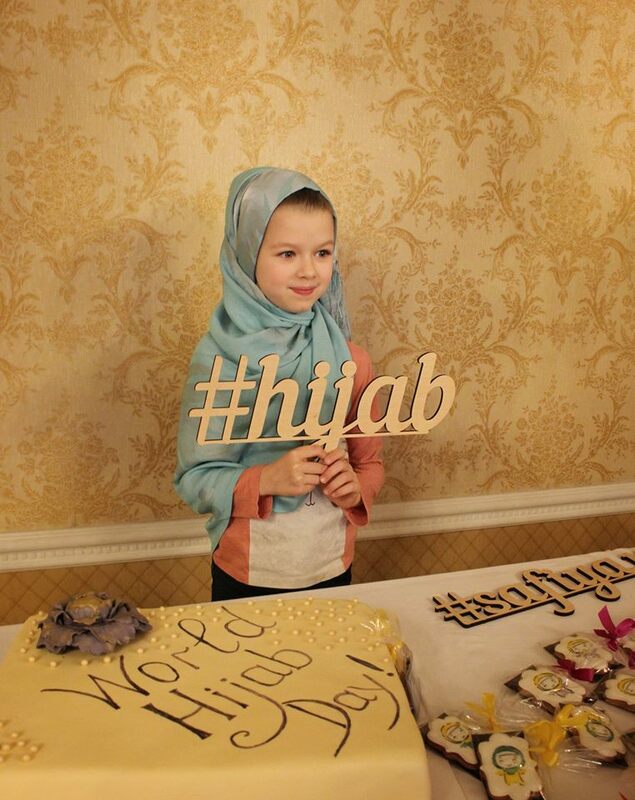 They provided with the examples of women from more than a hundred countries of the world, who have been putting on hijab, on February 1 for several years. The women cover themselves, if not completely, but at least their heads with scarves in solidarity with those Muslimahs oppressed, because of their willingness to follow religious precepts. In fact, women of most countries of the world in such way support Muslim women in the struggle for their rights, and at the same time protest against all types of xenophobia. The ensemble members demonstrated several traditional ways of tying headscarves. The “unbraid” ritual, still existing nowadays, is one of the oldest customs, symbolizing giving up with a girl's life and entering husband's family, where the young wife will become a rightful mistress, and a mother in a while as well. The guests of the event learned how women took a flower crown off the bride’s head, and then took bride’s hair out of braids (usually a simple braid. - Ed.) – that’s why the custom got such name. 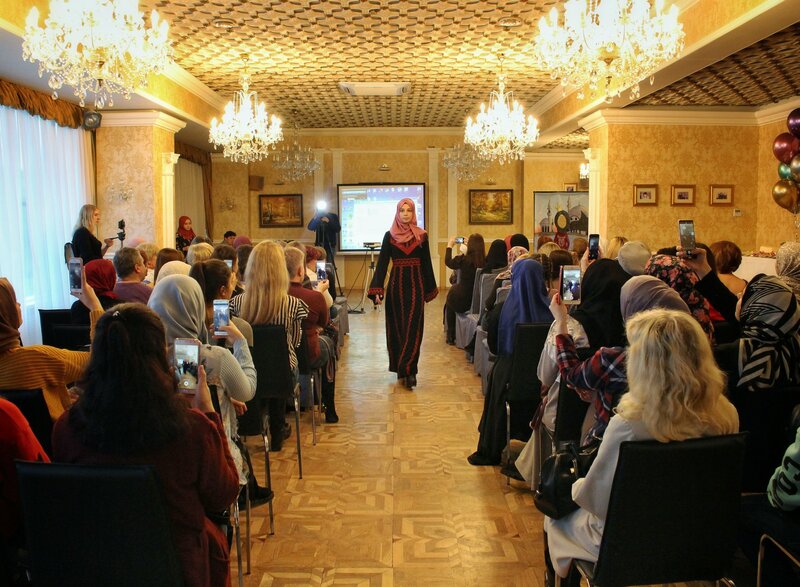 The organizer also held a fashion show of Muslimahs’ wear. So everyone has seen that the Muslim women dresses could comply with the religious precepts, and at the same time be beautiful, modern, reflecting the fashion trends. “Thank you very much for supporting us by accepting this invitation. Your smiles and good mood are the best you can give us. 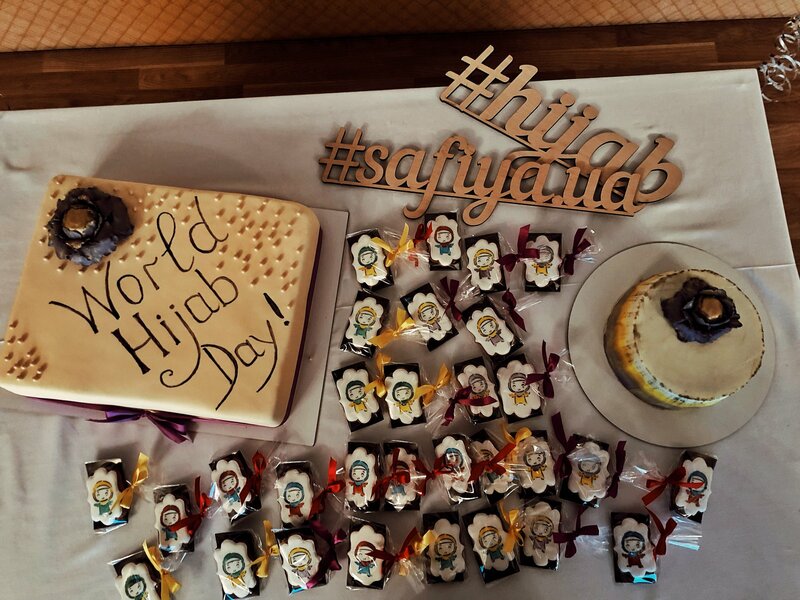 We told about the history of this day, the types of hijab and the successful women who had achieved tremendous results, despite all the obstacles. 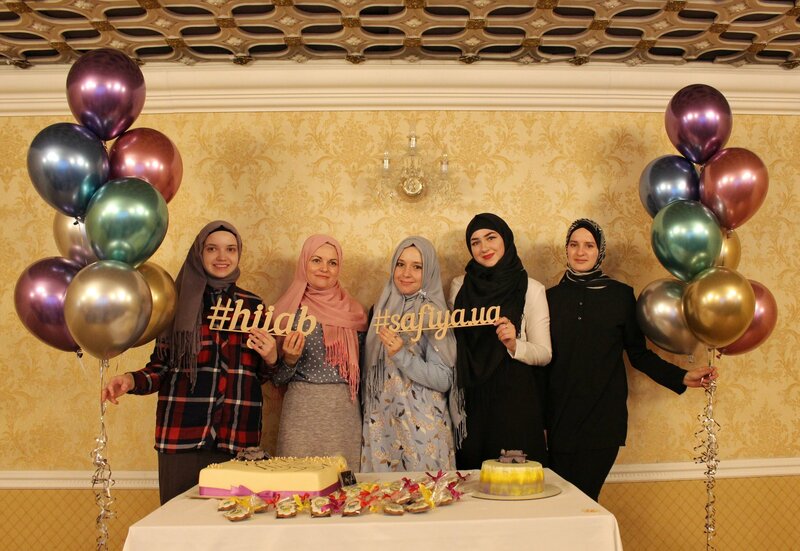 We did our best to give you an opportunity to learn about them, to ask questions, as well as to see what kind of clothes a Muslim woman wore in everyday life, on holidays, and what folk elements in clothing could complete and enrich a modest look”. At the end of the event, the guests thanked the organizers and wished these awareness-raising activities to be continued. As one of the attendees noted, “It is an excellent vaccination against xenophobia and Islamophobia”.